There are many agencies out there in the immigration industry like Move Up. Lawyers and consultancies offering to assist South African applicants in their visa applications. With so many to choose from, it can be difficult to find the right firm to assist you. So, why would you consider using Move Up above the rest? Ryan Rennison, founder of Move Up, first recognised the visa industry’s need in 2008. Ryan received his training at a large, internationally established firm which carried focus on minimizing bottom line costs whilst trying to maximize its profits. This alerted, Ryan to the opportunity to genuinely help other applicants in addressing their visa needs. It was the first time that he had been exposed to an industry where people truly valued his input. And the more Ryan learnt, the more he could help. At the same time, Ryan’s transactions highlighted the frustration of large corporate dealing.The unnecessary pressures, lack of accountability. Ryan also witnessed the low staff value within a corporation that had a high employee staff turnaround. Two years later, Ryan stepped out and started his own immigration consultancy. Ryan was wanting to do things differently, to approach the market with solutions that worked. Solutions that brought a win-win transaction to those in need. Ryan witnessed that large (internationally) established corporations have high overheads, covering office operating expenses across different countries is costly. Just because a consultancy has offices in the UK shouldn’t mean that South Africans (who deal in Rands) need to incur those costs. There is no need to charge South African applicants in pounds, especially when you have offices in South Africa. Many internationally established firms have offices in South Africa and yet charge South Africans at a pound rate. It doesn’t make sense. Move Up serves South Africans in South Africa and therefore deals in Rands. Large international corporations separate their sales consultants from their case workers. This approach automatically creates communication gaps. It gives the sales consultants the opportunity to oversell, leaving the caseworkers under delivering. Unfortunately the applicant tends to find out the hard way. To address this, Move Up have created an accountability system that works in the applicants’ best interest. We set up an infrastructure where the allocated sales consultant remains the allocated caseworker. This avoids miscommunication and ensures that we deliver the process we sell. During the assessment stage, if the allocated sales consultant is not equipped to handle the case, a senior consultant would provide assistance. This unique approach keeps accountability in place. One of the greatest features of Move Up’s innovative approach to UK immigration market is that Move Up has standardized its practice. This standardization sets clear expectations. Applicants know where they stand throughout the process. Unlike large immigration firms, Move Up publicly declares its fees. We have nothing to hide. In reality, the large immigration firms tend to first ask “What do you do?” before they talk fees. In reality, it is like asking “how much do you earn?” before I quote you. An unethical approach to immigration is the following: Applicants are sold a service. When the service provider fails to deliver, they charge for administration fees. An administration fee when in fact, the service provider at fault with the submission. Move Up’s solution to this issue is our case fee refund guarantee. There are no hidden costs. Should Move Up fail to get your visa awarded, and the error of submission is on Move Up’s side, then we will not that charge the applicant. Your not getting a visa awarded means that Move Up doesn’t deserve to be paid an admin fee. Some immigration firms charge a R1,000.00 consultation fee to assess applicants. They refuse to discuss documents or visa qualifying requirements over phone or email. Instead, these firms insist upon payment for a consultation upfront. This approach to immigration is unfair. Especially for those who are merely looking to find out if an opportunity is available. Ethically, Move Up questions if it is right to charge someone only to tell them that they do not qualify. We therefore offer a free assessment to all our clients. This assessment will determine which UK visa you should, or could, apply for. These 5 improvements are 5 of many improvements that Move Up have implemented. They have been critical in propelling Move Up and establishing itself as South Africa’s favourite immigration consultancy. Want to find out more about Move Up? Contact us here. This entry was posted in Move Up, Visas and tagged British Passport, Experts, Immigrating, Move Up, UK Visa. My name is Herbert Daniel Lewis, My father was John Eliazar Lewis. He was born in Exeter UK and held a British passport. My mother was included in his passport. they are both deceased. My eldest son has a British passport, he worked and lived in the UK for 10years and got a British Passport. 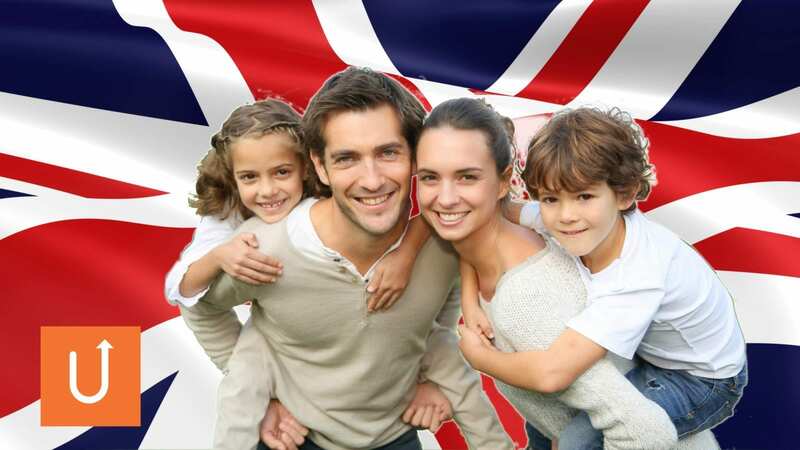 I, my wife, our daughter and youngest son want to apply for citizenship in the UK. I am in possession of my late fathers Passport and a unabridged birth certificate. I am 73,my wife 69,my dauhter48 and my son 34. We are currently RSA citizens. I have forwarded your email to Linda. Her email address is linda@moveup.co.za for future reference. Thanks for giving Move Up the opportunity to help.